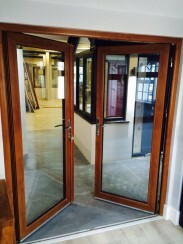 All our uPVC Doors are bespoke and to your specific requirements. Check out our uPVC Patio & uPVC French doors below! Check our other doors! We offer a range of composite doors, aluclad doors and aluminium doors. Our French Doors are suitable for both conservatories and porches. 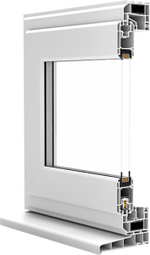 They are a style alternative for inline patio doors. DK inline sliding patio doors are a versatile option and ideal for both conservatories and porches. Features include high security & smooth sliding action.